If you have already determined filing for bankruptcy protection is in your best interests, you must now choose which type of bankruptcy to seek. Because Chapter 13 bankruptcy requires you repay most or all of what you owe, you may be interested in filing a Chapter 7 bankruptcy, which quickly discharges most outstanding debts. However, to prevent debtors who otherwise can pay some of their debts from filing for Chapter 7, the law imposes a means test to determine whether you qualify. This test takes into account several factors including your income, household size and geographic location of your residence. Count family members who reside in the household. The statute does not explicitly define which residents occupying a house count as a member of the household.Your immediate family members who are related by blood, adoption or marriage to you count toward the definition of household member. Some courts disallow from the household adult children who are employed but still live at your home. On the other hand, you may be able to count children who are away at school in your household if they are dependent on you for financial support and have lived with you for at least six months prior to filing your bankruptcy petition. 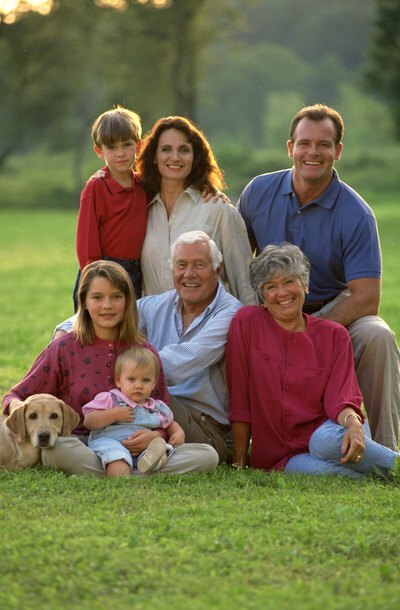 Consider Including other generational and foster relatives as members of your household. These include grandparents, cousins, siblings and other extended family members who treat your home as their residence. There is some difference between court jurisdictions about which of these relatives count as household members. Some bankruptcy courts adopt the more expansive definition from the Census, which counts the number of people who actually sleep at your home on a regular basis. Other courts use the stricter definition from the Internal Revenue Service, which excludes gainfully employed adults from the definition of household members. Include any non-family members who both reside at your home and depend partially or fully on you for financial support. These can include your live-in boyfriend and his children. These household members can also include any domestic help which you employ, such as an au pair or nanny, who lives in your house. Bankruptcy Law Network: What Is Household Size?